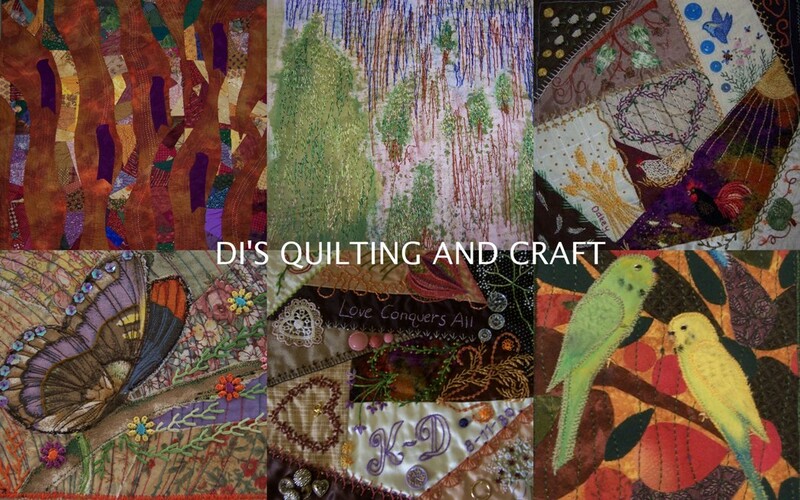 Dinky Di Quilting & Craft: You call this dust?!!? This is a view from our property last Saturday when we had a similar, but not so big, dust storm as the previous Wednesday. There is a hill in the background, I kid you not. It was like a heavy blanket of fog. Whilst I was at the quilt show someone in our household (won't mention any names) left the living room windows open. Today is the first chance I have had to try and dust every single object in the room and surrounds. This is not your ordinary old household dust. No sirreee. This is straight from the outback desert sands type dust. You wipe the surface of object/furniture, you wipe it again, you wipe it again, moving it from one place to another. It is really testing my housekeeping prowess and it is really eating into my valuable quilting/sewing time. Grrrr. Baby Lili - bub enjoyed the quilt show but was anxious to show us all her new crawling skills. Very cute to watch, but this new development has had me 'baby proofing' my sewing area in the lounge room before each visit. They're telling us that the dust storm has long gone out to sea, so I want to know why it's still at my place even after I've cleaned and dusted and wiped yet again. It obviously likes your place too.